A) Been a member of SJ for a long time although I now only do Park Run on a regular basis. I joined the ranks of the retired a couple of years ago and my wife joined me 3 weeks ago so “the world is now our oyster”, providing the money holds out. Enjoyed sport all my life without ever being any good at it. Running, or shuffling in my case, means I am competing against myself. 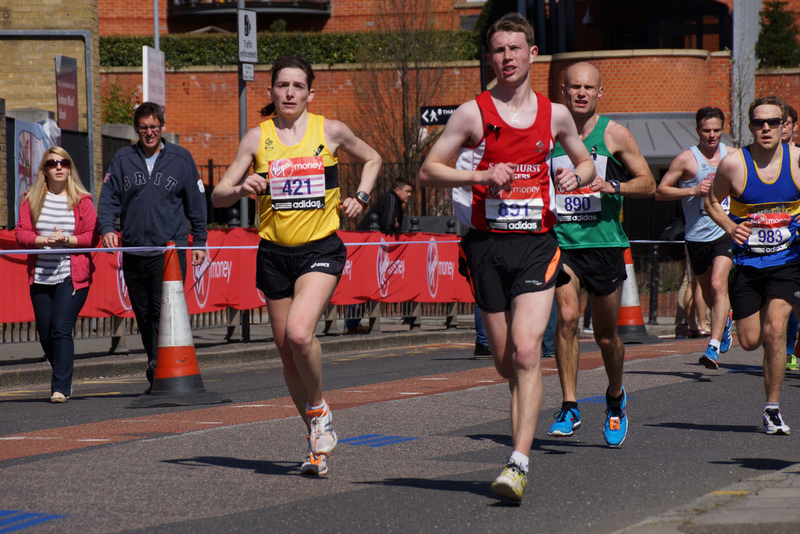 A) Saw the first London Marathon on TV and a few months after that I entered the first Fleet Half Marathon. March 1982!!! Took part in a few local half Marathons – including the legendary 1985 Sandhurst event which included the heaviest downpour that I ever ran in. Did my first London in 1986 after 3 rejections. My youngest daughter was 2 days old then. Her 13th birthday present was to come up and watch me run what turned out to be my last London. A) Without doubt the people that I have met. Joining SJ changed our lives. We have made so many lasting friendships. Walked and run all over the country with our SJ friends. Q) Other than running the monthly Handicap, on which of the weekly runs are we most likely to bump into you? A) I occasionally run on a Tuesday. I help out at the Yateley Road Races as well. Q) I see you’ve ran at a number of different Parkruns around the country and volunteered at over 70! Of the 11 venues you’ve run at, which was your favourite and why? A) I like Frimley because I have made a lot of new friends there. I recently did Guernsey which was challenging and enjoyable but the one I suppose I have most affection for is Keswick which was my first bit of Park Run tourism. It goes along the C2C cycle route and about a year after I did it a couple of the bridges were swept away by Storm Desmond. They found another temporary home for the run but it is now back where it was with a few amendments. Last August I ran it again. A) The running is a bit limited these days so we are making up for it by walking the West Highland Way in June. I might manage the Bounders relay.